QUALITY is the major focus of production processes at Ma.Bo. and the team of professionals in charge monitors all stages of the work-flow as well as verifying the standards of our suppliers. The product has to reflect what the customer wants with zero defects. The Technical Office at Ma.Bo. studies and endorses customer requests in order to manage production efficiently and effectively. 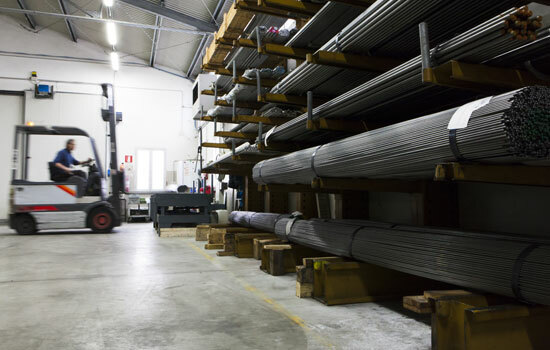 The company’s dynamic approach and its lean organisation facilitate daily interaction with customers, resulting in optimised production processes and the confidence that the best solution has been identified. The professional skills and know how of the team at Ma.Bo. 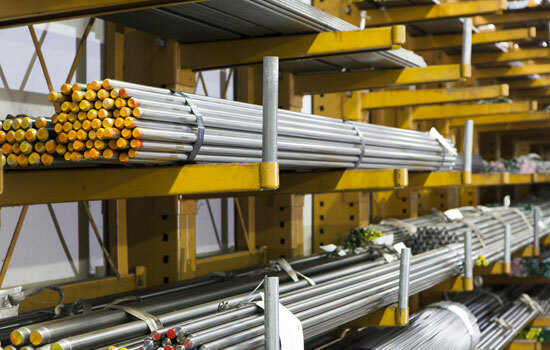 are vital for safeguarding the impeccable set-up of machines every time the production of a new item is about to start. Ma.Bo. has the expertise needed to follow customers “step – by – step” in order to meet their needs, even with bespoke machinery if necessary. This versatility safeguards the company’s competitive edge on international markets. Ma.Bo.’s warehouse was designed with the most demanding customers in mind! “Kan Ban” and “Just in time” approaches make it possible to modulate the quantity of raw material available to customers. The dynamic control of the rotation of raw materials goes hand in hand with the high level of certification offered by its suppliers. The turning department represents the beating heart of the company! Ma.Bo. uses Swiss type CNC lathes and fixed head CNC lathes, offering a production capacity of 20 million parts per year. The superior levels of specialisation of its workforce who operate the machines, enhanced by ongoing training provided by the company, are aces in the pack for Ma.Bo. and are essential in order to reach the quality and reliability acknowledged on the market. For specific customer needs and requirements, the Finishing Processes Unit at Ma.Bo. can also carry out ISF – Isotropic Superfinishing Process: its purpose is to improve the superficial properties and working life of the item processed. The process is obtained through Isotropic Super Finishing with activator chemicals chosen to suit the customer’s needs, and is able to reach results of very low surface roughness. Every item made at Ma.Bo. goes through a thorough washing procedure. 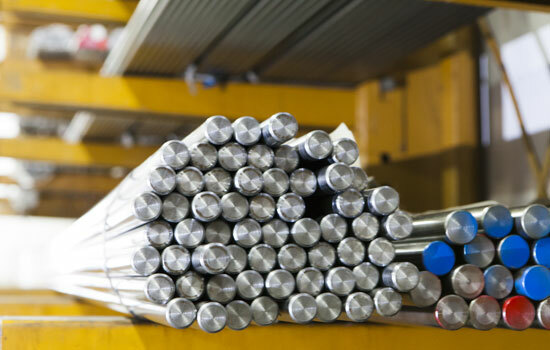 The purpose of metal washing is to remove any residual oil, grease, turnings, or dust remaining on the surface of industrial items after machining. Washing is done by sophisticated, latest-generation machinery fed only by aliphatic hydrocarbons with ZERO impact on the environment, in full compliance with ISO 14001 guidelines (environmental certification). Thread cutting is a process to create a helical coupling between two elements. Orbital thread cutting puts Ma.Bo. in the small number of suppliers specialised in this type of mechanical engineering process, used primarily for Automotive applications. Ma.Bo. has a significant roll-forming unit complete with multi-roller machinery for cold processing: these processes make it possible to achieve products with surfaces having low degrees of roughness, with a rolled thread or with milled patterns. Cold press-forming is done on semi-finished items after lathe machining and includes techniques like caulking, crimping, shearing, bending, and driving. Ma.Bo. has 3 machines handling this function that were designed and built in house to meet the specific needs of customers. Ma.Bo. has a modern grinding unit with 6 different types of grinding machines: centreless and plunge grinders and centre type grinders. Internal grinding is new to the company and represents an additional “plus” for its customers who now have full confidence in the know – how of Ma.Bo. at this stage of the production process too. designed for cartridges, valve seats and other processes. Even tolerance is close to ZERO: it is capable of honing through holes in particular Ø 4 to Ø 32 oleodynamic elements, with a geometric tolerance of 2 µ; a cylindrical tolerance of 2 µ and a roundness tolerance of 1 µ. It is capable of producing articles with a roughness of under RZ1. The logistics and management of the space at the company premises is handled according to kan-ban and just in time systems. The automated vertical warehouse completes the overview of how the semi-finished and finished items are handled. Ma.Bo. understands the importance of correct handling of waste materials, demonstrating its awareness of the need to protect the environment and promote efficient manufacturing methods. First, any oil is removed and separated according to the type of material using specific centrifuges: oil goes through a particular filtering process so it can be used again in the machinery. Commercial agreements with suppliers of cutting inserts enable the recycling of the inserts themselves.